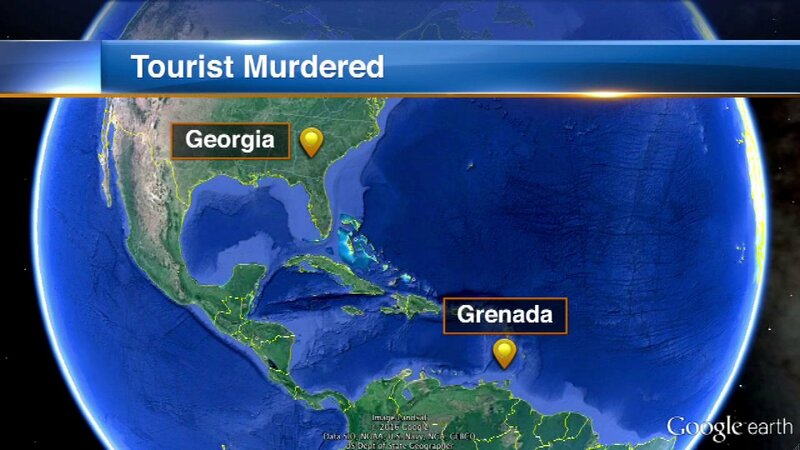 ST. GEORGE'S, Grenada -- A machete-wielding man attacked a U.S. tourist couple as they walked along a remote beach on Grenada, killing the woman, police on the Caribbean island said Tuesday. Jessica Lewis Colker, 39, of Atlanta, was found dead after her husband ran to get help following the attack, which occurred around noon Sunday on a remote stretch of coast along the island's southeast, said Sylvan McIntyre, an assistant superintendent with the Royal Grenada Police Force. A suspect was in custody but has not been identified. Colker and her husband, Brian Van Melito, had arrived on Grenada about a day before the attack and were staying at a guest house near where the attack occurred in an area of beach and mangrove in St. David Parish, McIntrye said. The motive for the attack is unknown. The husband told the police that he fought with the man, managed to get away and call for help. Police and residents of the area launched a search and found Colker's body about an hour later in the woods. An autopsy found she died of extensive skull fracture and asphyxia. McIntyre said the suspect was cooperating with investigation but he declined to provide any information about the man, who can't be identified under local laws unless he is formally charged.